I've been meaning to write something that lets me use that picture for weeks now. It's from the cover to Fred P. Brooks's The Mythical Man Month and I've always wondered whether these were his mythic beasts or if they were a play on his being a dinosaur in the industry. I just paid a chunk of money to the Employment Security Department for Patty Pan Coop’s quarterly unemployment tax. The form and the payment were two months late; we’re usually pretty good about keeping up on our tax obligations but this report is particularly likely to get away from us because it asks for more information than the others, including Social Security numbers and payroll hours by employee. Our title is taken from the title of "Today's Must Read" article from my favorite site's list of daily links: Stop Trying to Save the World". The article tells us first to honestly measure what we are trying to achieve when we introduce some vaunted improvement program. Then it tells us that just because the formula within the program that succeeds in the test case, don't assume that it will apply to every other situation. Read more about "Stop Trying to Save the World"? 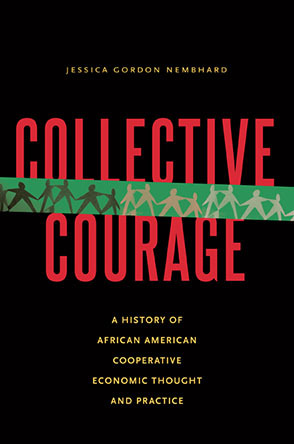 The cooperative movement, in general, seems to associate co-ops with non-capitalist market economics. This is articulated by J. Restakis (2010) in his popular book Humanizing the economy: Co-operatives in the age of capital. British Columbia: New Society Publishers.